The Northside is an exciting and proud area of Pittsburgh. To learn more about the NSLC, visit our page at the link below. 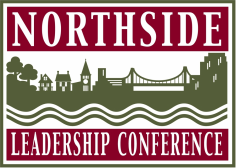 The Northside Leadership Conference is a coalition of Northside community-based organizations, committed to addressing mutual concerns through a united approach in order to promote and enhance the vitality, quality of life and image of Pittsburgh’s Northside.